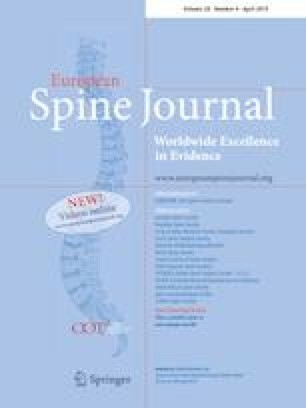 The mean age of the patients was 20.8 ± 9.0 years with the following diagnoses: congenital scoliosis (287/703, 40.8%), idiopathic scoliosis (281/703, 40.0%), neuromuscular scoliosis (103/703, 14.7%) and syndromic scoliosis (32/703, 4.5%). PPC manifested in 82 patients (11.7%) including pleural effusion (39/82, 47.6%), pneumonia (33/82, 40.2%), pneumothorax (3/82, 3.7%), respiratory failure (3/82, 3.7%), hemothorax (2/82, 2.4%), pulmonary edema (1/82, 1.2%) and pulmonary embolism (1/82, 1.2%). Multifactorial regression analysis confirmed that revision surgery [odds ratio (OR) = 2.320, P = 0.030], preoperative respiratory disease (OR = 14.286, P < 0.001), preoperative Cobb angle of main curve > 75° (OR = 1.701, P = 0.046) and thoracoplasty (OR = 4.098 P < 0.001) were risk factors for PPC after PIF in patients with non-degenerative scoliosis. The online version of this article ( https://doi.org/10.1007/s00586-019-05968-5) contains supplementary material, which is available to authorized users. The authors gratefully acknowledge the support from Beijing Chaoyang Hospital affiliated to China Capital Medical University. The author also thanks Dr. Yong Hai who supervised the study, provided technique support and corrected some mistakes. This study has not received any fund support.